Patoss are delighted to be able to extend discounts on a variety of test materials, when bought from the test providers. You will need to use the website links provided under each test, as well as the discount code upon purchase. Please note we can not offer retrospective discounts on products already purchased. 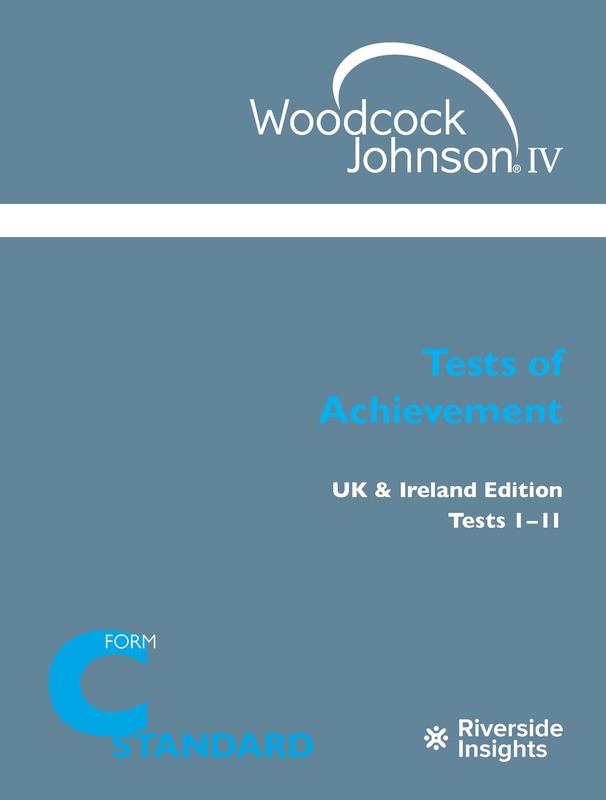 By using the link and promotional code below you can now purchase the Woodcock Johnson IV - Test of Achievement, UK & Ireland Edition - Test 1-11 with a 5% discount on Education Elephant website. Now in its fourth edition, the WJ-IV has consistently positioned itself as a world leader in individual assessment. Designed on the cutting edge of clinical research the WJ-IV is the most comprehensive and versatile academic assessment tool available to you. The Woodcock Johnson IV UK and Ireland edition is the anglicised and redesigned version of the most popular and widely used battery of individual assessment available, the WJ-IV. The WJ-IV is the ideal choice for accurately screening, diagnosing and monitoring progress in reading, writing and maths. With 11 different individual subtests you can have all of your assessment tools under one roof. The WJ IV is the perfect assessment for accurately screening, diagnosing, and monitoring progress in reading, writing, and maths achievement areas. The UK and Ireland edition of the WJ IV has been specially designed and adapted from the WJ IV Tests of Achievement, Form C. While the norms have not changed, all of the content has been anglicised for use in the UK and Ireland and the testing battery has been shortened from 20 tests (standard and extended battery tests available in the full WJ IV) to the 11 core tests (standard battery only) thus making it more economical, affordable, and accessible to those schools and examiners seeking out a reliable and robust assessment tool. Examiners can choose to administer all 11 subtests or can select individual subtests for isolated use. The WJ IV will allow examiners to gain an in-depth understanding of a person’s academic strengths and weaknesses enabling targeted interventions to be put in place. Scores from the WJ IV can also be used to apply for access arrangements in the UK. With 11 subtests (see table below), spanning a huge age range (4- 90+ years) and assessing areas of early literacy and early number skills as well literacy and maths, the WJ IV is the perfect choice for students in every educational setting. 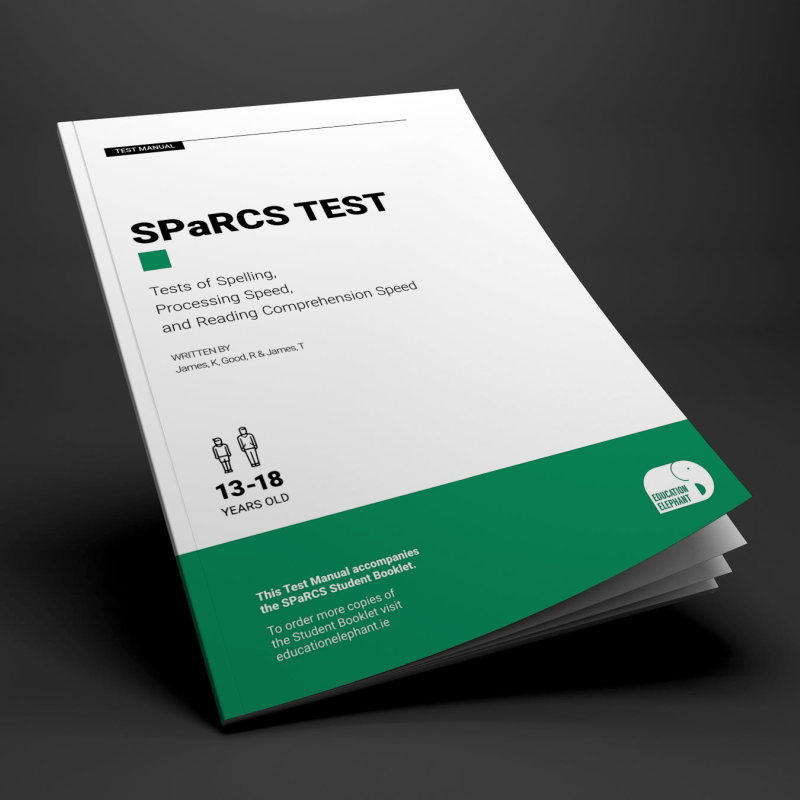 The SPaRCS was created in order to provide teachers with an up to date, accurate, useful and time-saving assessment tool that can be used to quickly identify students that are in need of additional support and intervention and identify those that may qualify for access arrangements in their examinations. The SPaRCS can be used in a group setting (e.g. whole class screening) to assess those core academic and thinking skills that students need in order to perform effectively in school and exams – Spelling, Processing Speed, and Reading Comprehension Speed (SPaRCS). The test has been normed with a UK and Irish population and demonstrates excellent reliability. *Patoss offer these discounts as they have entered into an agreement with the test providers/retailers listed on this page. However, Patoss by listing these resources, is not endorsing any of the products or services on offer and can take no responsibility for any issues arising from any purchases made with any of the listed organisations. Upon purchase your statuary contractual rights sit with the organisation in which you purchased the product. Inclusion in this listing does not imply endorsement by Patoss.